Independence from third parties for verification of the transaction. Distribution of the ledgers to all the nodes in the network. So, it’s a distributed system. One of the best advantages of blockchain is it provides a decentralized system meaning the same transaction is stored in multiple nodes. So, if any data is lost it can be recovered very easily by copying from other nodes. Other than this, instead of running a vast data center blockchain allows all the individual transactions to have their own proof of validity and authorization to enforce those constraints. Thus information being distributed all over the globe on individual servers helps to prevent cyber-attacks as the attacker only gets access to a small amount of information and not the whole network gets compromised. The ability to track any ledger to its source along the chain. The ability to remove duplicate records as the validation of the entries are done based on several consensus protocols. This also provides the ability to resist frauds. Smart contracts which are used by business to implement a particular set of events based on some predefined conditions. As and when the predefined conditions are met, the trigger is fired and the specified set of the event starts. The blockchain is mainly used to keep a record of the transactions. It may contain any information that is static and can help the business to grow. As blockchain maintains a static registry, the ledger may store records for reference purpose. As any transaction once stored in blockchain cannot be altered, we may track any old transaction up to its origin by following the chain. Also, any change that happens to the information as stored with the proper timestamp which further helps the drill down process. This kind of implementations is very useful for patents, food safety and many more. Along with the above, it stores identity information as well. This information can be useful and used in various fields like police records for crime, tracking court cases etc. Smart contracts are offered in blockchain where on meeting some pre-defined rules or conditions can trigger any transactions. The contract must be set such that whenever any particular condition is met, the transaction happens. Like, suppose a landlord and a tenant. The landlord must set the pre-defined condition that the rent for the apartment should be debited from the tenant at every month end. Thus, as the month end condition is met the rent is automatically debited from the tenant’s account and debited to landlords account. 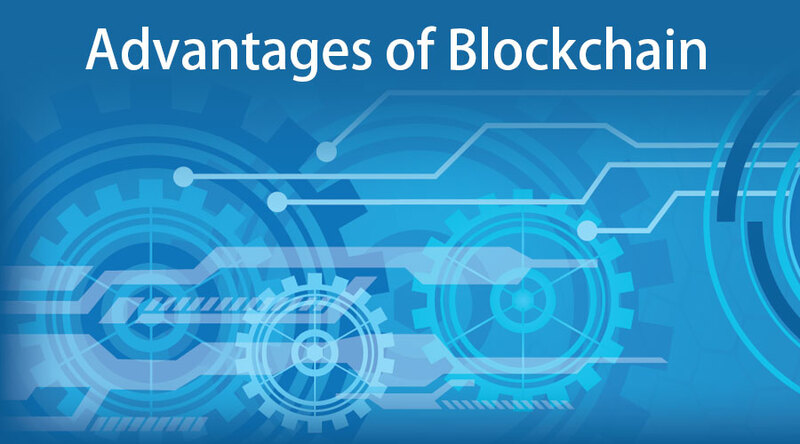 The major advantage of using Blockchain is it offers a dynamic ledger where the ledger keeps updating based on goods exchanged on the digital platform. For example, the production of medicine can be tracked right from the manufacturing unit until the retail store based on a dynamic ledger. It will update the information on every movement and can be tracked very easily. This can also help to stop unlawful activities in the market. Payment registries are provided by blockchain where the dynamic registry is updated as the payments are made over the network. This is suitable for payment in cash as well as cryptocurrencies. It is quite advantageous for international payments in the business. Since it is an open source it is counted in the advantages of Blockchain where any user can modify it according to their needs. Thus, it is very flexible and users can add or remove features according to their needs. Since it offers P2P and B2B transactions it does not involve any third party like banks or financial institutions it relieves the extra cost of third parties thus reducing transaction cost. This helps business to save more money which can be invested elsewhere. As a result, the business is more efficient. It also provides faster settlement for transactions as traditional banks take days to settle any transactions. This is because the banks have their own protocols of making entries of any transactions which time consuming and much manual work is also involved in a few cases. Moreover, they function only on normal business hours in a week for 5 days only. There are also different time zones around the world where the banks are located causing delays. But blockchain works round the clock twenty-four hours a day thus providing a far better rate of transaction compared to banks. The cryptocurrency users always prefer a network where they can self-control it. In place of having any third party to control it’s the user and developers only who can control it. This really helps to draw more investors as all the users are attracted by the self-control feature. There is no control of the government or any financial institutions on the cryptocurrencies and have no chance at all to get affected by inflation or hyperinflation of the currencies. In a nutshell, blockchain technology appears to have the potential to disrupt the existing model only it needs to initiate an objective helping it to drive operational efficiencies. On implementing it properly it is bound to have wider positive implications.